You don't want to worry about what to wear while you're building your empire. 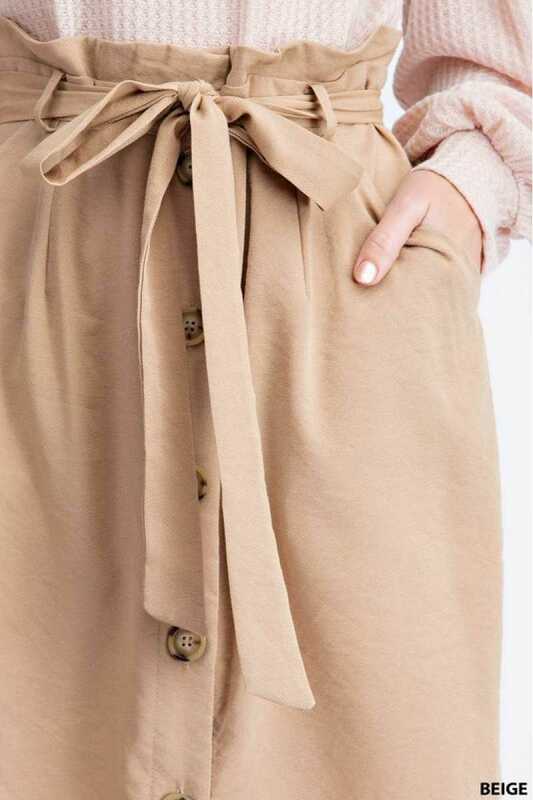 Luckily, we have this button front skirt! 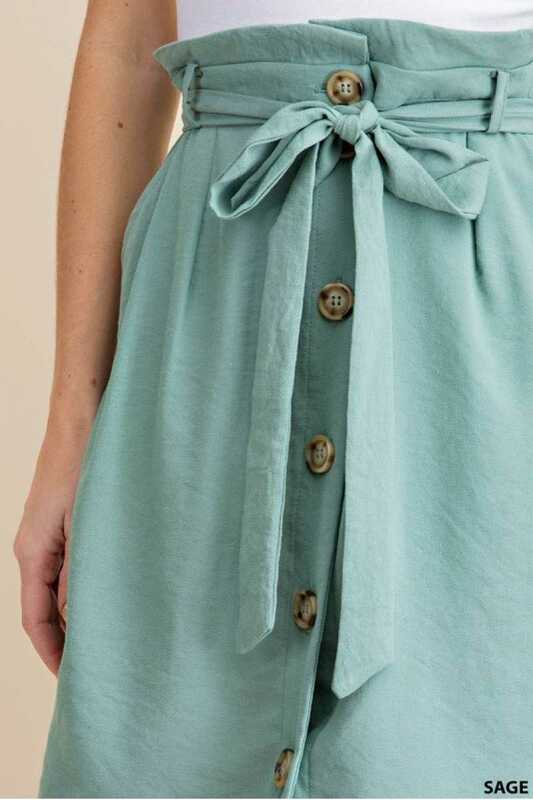 Chic little skirt with a high paper bag waist (with belt loops and a sash belt) and a quartet of round buttons in front.